I don't do a lot to pamper myself, but something I've made sure to do for myself is not have cracked, dried, or peeling feet. I don't know why, but it's something that gives me the heebie jeebies! Is that even how you spell that? I recently purchased my starter kit for YoungLiving. No, I'm not going to be a distributor, and no, you're not going to see me offering all kinds of stuff on my site. That being said, I might share some creations I make with it from time to time. 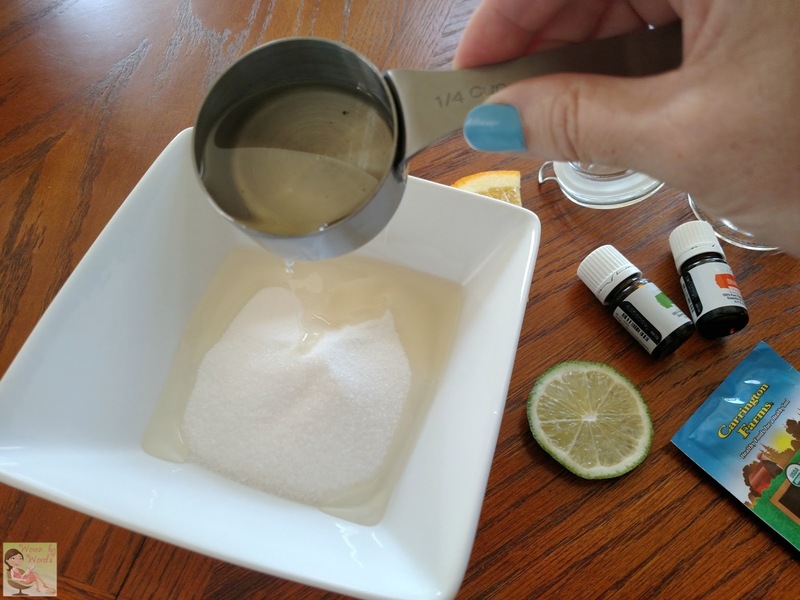 Now that summer is here officially, and we'll be walking around in flip flops & sandals for the next few months, I wanted to make a sugar scrub at home! I happened to already have a jar to put it in, so All I needed to do was make it. I was baffled at how easy it was! Thankfully I already have all of the products in my house so it was something that took just minutes to make! Occasionally I get into my own head about how hard something might be. Then I do it, and I wonder what I was so worried about. Making a sugar scrub was one of those things. I can only imagine how much money I'll be saving by making a homemade version of it! I used orange oil for a couple of reasons. First I like the fresh scent that orange brings. It's good for smooth skin, too! Lime is a good antioxidant. This scrub recipe is perfect for after a day at the beach or just taking care of your feet! Now, a couple of things to keep in mind...if you use this in your shower or tub, remember this has coconut oil which makes your feet and the shower/tub slippery. I don't want you getting hurt with slippery feet so be careful after you use it. Also, be sure each time you use this, be sure to stir it up. 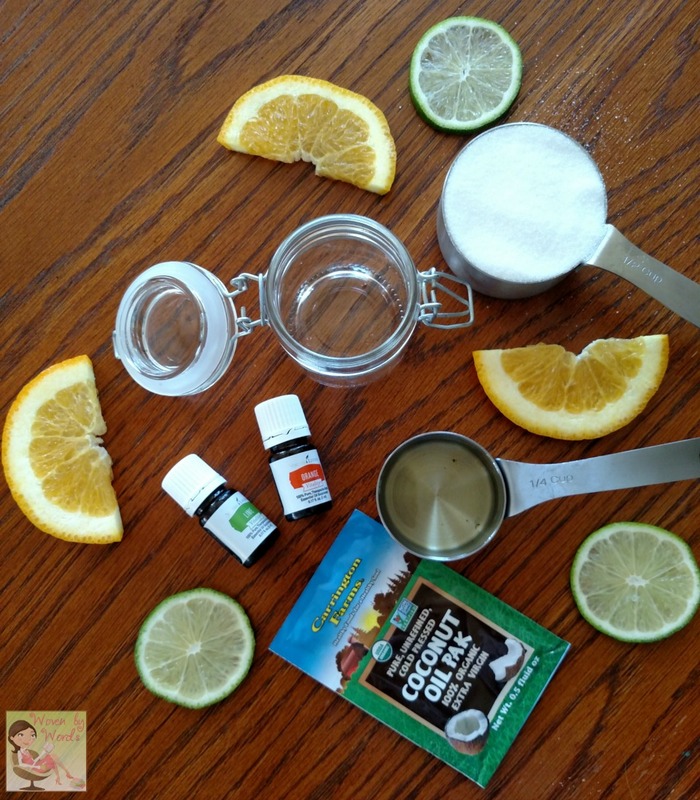 The coconut oil will separate from the sugar. It just takes a second, but it's an important step to remember. I would say to only keep this a week and a half or two at the most? This is made from food ingredients so it has the potential to go bad. Mine didn't last a week in this little jar, but it depends on how much you use it. If you're interested at all in essential oils, Kelley would be happy to answer any questions! You can find her on Facebook to start with. If you're interested in ordering, through the end of the month Young Living has 10% off the kit and she's giving $20 cash back so that makes it only $124! 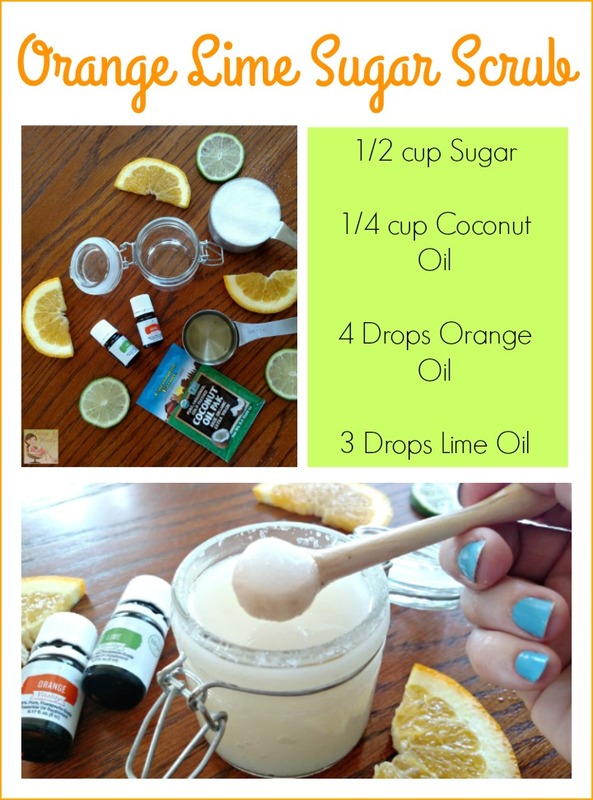 You can learn more from her recent post about essential oils! 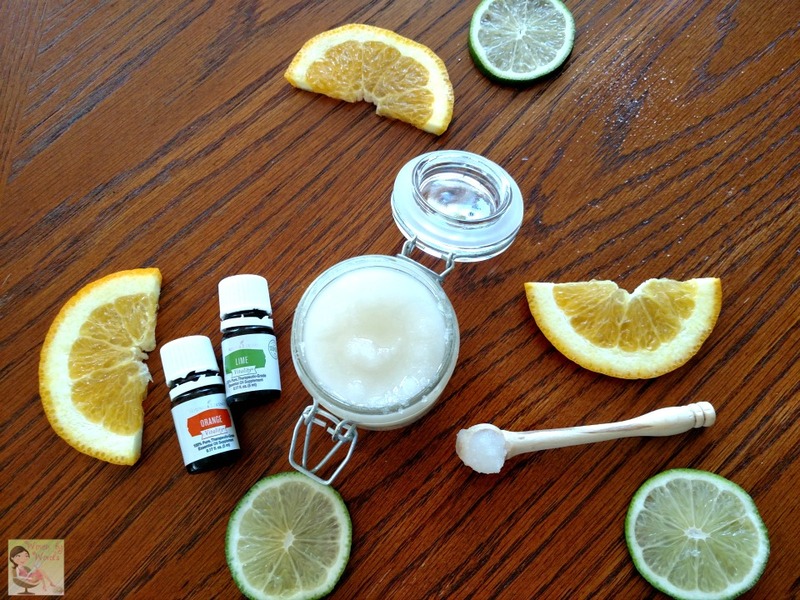 What scents do you love in sugar scrubs?